This Valentine's Day: 10 Ideas for "Going Big"
Ok – so you’ve read about some Valentine gifts for your nature lover (blog 1) and you’re ready to marry it up with some Valentine personal time (blog 2). But you’re feeling adventurous and want to plan something BIGGER around this holiday. No problem. I’ve created this list – the final of my Valentine’s blog series - from my own “adventures” as a nature-aholic. All of them except #6 are ones that I’ve personally experienced (and #6 is on my to-do list) so I am happy to share from my own personal experience. There are plenty of other ideas that others will have experienced so this list certainly is not exhaustive for you “‘Go-Big’ers” out there. May it inspire you for whatever you plan! Big Idea #1: Go on a donkey walk. Yep – I really mean a donkey walk. While they’re not prevalent globally, I can tell you they are around the UK and I thoroughly enjoyed my experience at Stokewater Meadows. Chris, the owner, is a delightful man who loves his donkeys, and his donkeys are playful, cheeky and fun. Not to mention you get to enjoy that quintessential charming English countryside along the way. There are plenty of options so go googling to find a donkey walk. Big Idea #2: Go out for a Badger watch. I know – you really think I’m making these up now. Actually, this is another one from my trip to the Devon countryside in the UK. If you go in the fall or winter like I did, just make sure you pack the right number of layers. And yes, you DO see these cute black and white guys romping across the meadow in front of the hide. Just read this great article in The Guardian for some insights. Big Idea #3: Visit a donkey sanctuary – it’s sure to be one of the most entertaining things your beloved can do. You’ll see the many pictures featured on my products to prove just how entertaining. My favorite is The Donkey Sanctuary in Sidmouth, UK for the beautiful trails, beauty, friendliness of the staff, museum and oh so many donkeys! Big Idea #4: Plan a trip to Costa Rica. (https://www.visitcostarica.com/en) If your Valentine is a nature lover, this is bound to be on their bucket list. From the preserves where one can spot that famous and adorable sloth, to the famous colorful birds (remember the Toucan from the Fruit Loops box? ), not to mention the broadest variety of Hummingbirds you’ll probably see anywhere, to the amazing beauty of the countryside, and seeing some of the largest turtles in the world lay eggs under the moonlight, to the tiny hatchlings heading to sea, it’s hard to top Costa Rica for natural diversity. Big Idea #5: Go visit one of the U.S. National Parks. No matter which park you choose, there is something that nature lovers will love. Grizzlies, elk, moose, bison and mule deer at Yosemite and Grand Tetons, gorgeous red topography in the Utah parks, Mountain goats and edge-of-the-earth beauty in Glacier National Park. As many as I've visited, I still have more on my list to experience! 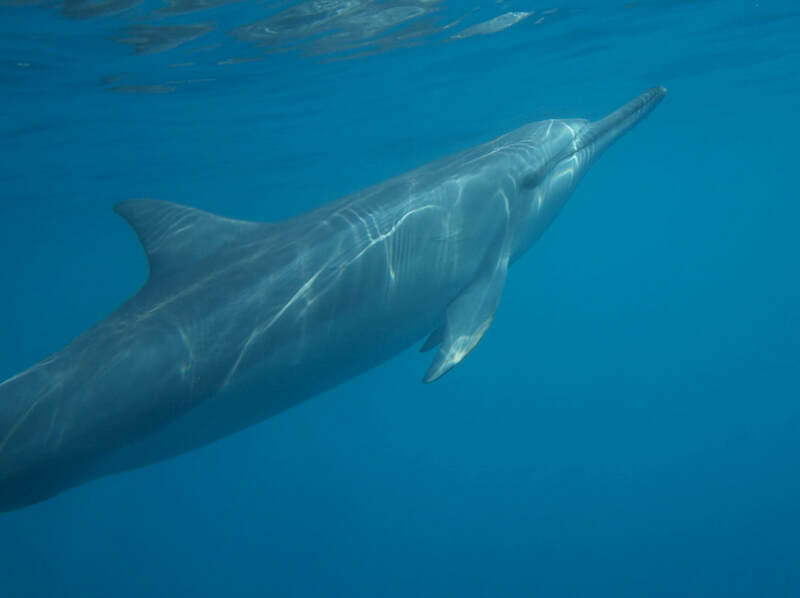 Big Idea #7: Swim (respectfully only) with Spinner dolphins and Giant Manta Rays on the Big Island of Hawaii. Yes, just off Kona, you can have these lovely experiences. Please do your research and always be respectful of these gentle creatures. This company is one that I use because my experience is that they are highly respectful of all of the animals. There are other operators as well so do your research. You should be comfortable snorkeling – don’t learn while you’re doing this experience - you will spend too much time gulping sea water to enjoy yourself and miss the beautiful experience altogether. I've seen it happy so many times. Not to mention your stomach will *not* be happy processing that salt water. Trust me. Big Idea #8: Swim with an Australia sea lion (ASL). Notice I didn’t say California sea lion (CSL). There’s no swimming with CSL’s in the U.S. and they are a bit unpredictable (not that any wild animal isn’t). I’ve had them leap over my kayak while originally quite some distance away. There are 1 or 2 places elsewhere that allow it, but I prefer to exercise caution. I worked in marine mammal rehab with CSL’s and I know what they’re capable of. Enjoy watching these beautiful pinnipeds from the shore. If you fancy it, there are operators in Australia who will take you out safely to swim with the ASLs. But as with any wild animal, again always exercise caution. I swam with them in fairly shallow water and found that the one fellow passenger on my boat most comfortable swimming underwater was the most popular one with the ASLs. All of the them were following him - I think they thought they’d found a new playmate. I LOVED watching the underwater fun! ​Big Idea #9: Swim with a whale shark. Yes, they *are* the largest shark. However, they’re docile and in fact usually are quite afraid of us. (Picture us humans frightened of a tiny bee and you can appreciate their perspective). They in fact don’t even have teeth to eat fish – they have tiny teeth and instead eat plankton. I found operators in Exmouth, Western Australia who treat them with the greatest respect. Please be sure to find an operator who is highly respectful of these gorgeous big fish. Big Idea #10: GO BIG. Yep – I do mean big. Whale big. 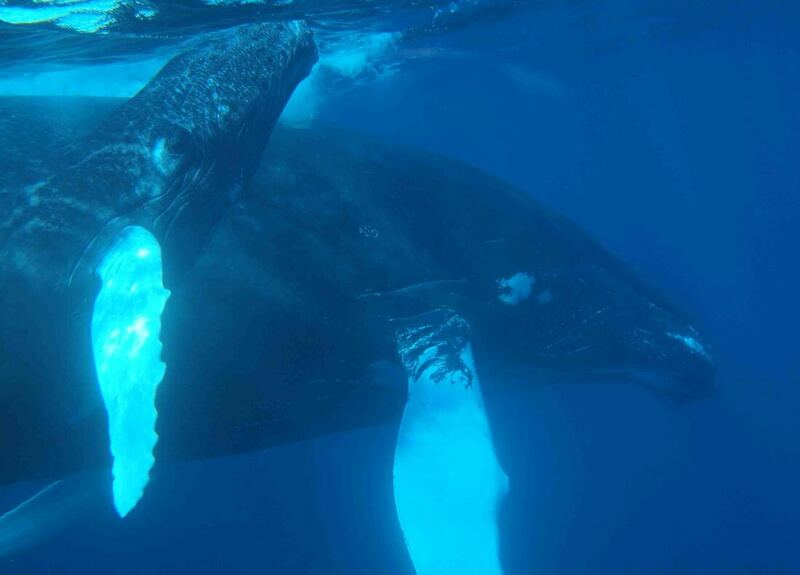 Plan a trip to meet the Baja Gray whales, kayak with the Humpbacks in Maui, or swim with the whales! There are very few places in the world you can do these activities, and only certain times of the year, so plan early and well. Our friend Jeff Pantukhoff of the Whaleman Foundation leads trips to meet the Gray whales in Baja and there are several good tour operators to kayak with Humpbacks in Maui. Here’s a link to our friends at Conscious Breath Adventures where we swim with the Humpbacks (over the U.S. winter), and Eye to Eye Marine Encounters for John Rumney and his lovely family to swim with the Dwarf Minke Whales (over the U.S. summer) out on the Australia Great Barrier Reef. I’ve saved these trips for last because they are truly the most treasured experiences of my life. And I hope to keep returning for many years to come! While I’ll leave the “experience” gifts to you, you’ll certainly see their inspiration in some of my products and photographs in my Collections and storefronts. Whatever you do, wherever you go, here’s wishing you and your special someone a wonderful Valentine’s Day…. ​Do you ever get caught up in your mind’s obsessions about work, an argument you had with your significant other, a family issue, etc.? The impact these ruminations have on our psyche is not good. That’s where mindfulness comes in. 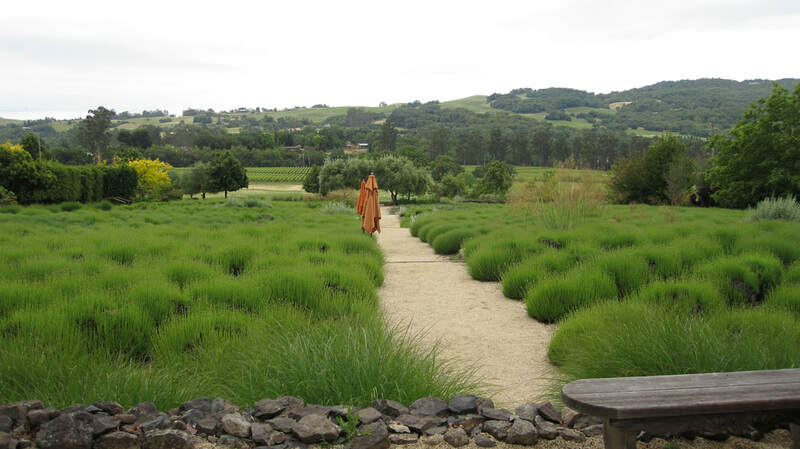 As you open yourself up to be in the present moment, esp outside in nature – notice the fragrance in the air, the bird in the tree, the sensation of your foot steps on a pebble or the dirt. Doing so, you begin to separate from the drama, the “stuck” feeling, frustration or other negative emotion of your thoughts. You broaden your perspective and open up to the newfound energy from your immediate experience here and now - the awareness of just “what is” all around you. Just like you’ve been missing out on what’s in nature, you’re probably missing out on what’s happening to the loved ones in your life. Your nephew or niece, son or daughter, or grandchild has a new toy they want to share with you. Your loved one wants to seek your advice on a work issue. Your friend needs your shoulder ….. The more we open to the present moment, the more we experience what’s truly important. When you come back to your earlier rumination, it feels a lot less “dense” or heavy, less significant, or of less importance overall. In fact, you may have discovered an entirely new approach to the problem you hadn’t had the “room” to discover before. ​Yesterday, I was out walking my dogs between rainstorms. I committed to being present for them– knowing they would enjoy this time after being cooped up in the house during the storms. Rather than rushing their joy because I had another agenda, I just let them be dogs – taking in every scent they could along the way. As we walked, enjoying the present moment, I began to get a “feeling” that something was about to happen in nature. As I walked, I could hear Cedar Waxwings nearby. We circled the block and on the sidewalk before me, in front of house after house, was berry “debris”. Still listening for the Waxwings, I wondered “Do Robins and Waxwings eat the same berries? Do they ever forage together?” And nature responded. One or two houses down, amidst the quiet of this day, I could hear the fluttering that could only be birds – LOTS of them - softly flying among leaves around the tree. I looked up to see an entire flock of Robins flying in and out, grabbing berries, arguing between themselves. I stood for the longest while, enjoying this moment with nature – Robins doing what they need to do to survive, eating as many berries as possible until they were satiated and grew quiet and still. And there among them? 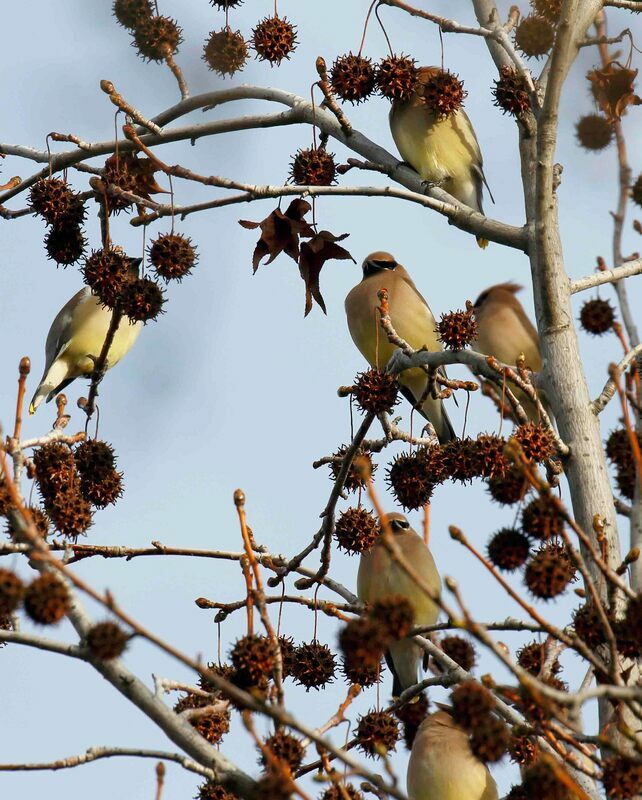 Cedar Waxwings of course! I was elated! I decided to take advantage of their current “food coma” pause after the big meal to run the dogs home, grab the camera and get back to the scene. And when I returned, there they still sat – looking plump and content. What beautiful birds…. 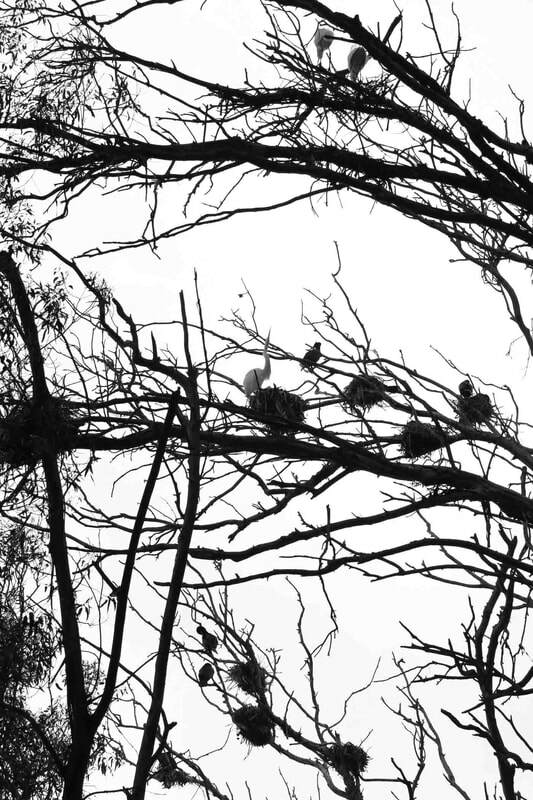 ​Had I been ruminating, had I not been in the present moment with the dogs, I likely wouldn’t have noticed these beautiful birds. Lifted by their beauty and these precious moments with them, I felt ‘lighter’, grateful for nature’s beauty and the opportunity to experience it. The rain may be coming back but the dogs and I had had our moments in the fresh air – and returned home refreshed. What might you be missing in your life? Take a moment to be in the present moment - wherever you are. Breath in the fresh air. Listen for birdsong. Walk the dogs. Do whatever it is that lifts your heart. You can learn more about mindfulness and the benefits of the present moment from Oprah and Jon Kabat-Zinn here. And if you should see a Cedar Waxwing or Robin in distress this time of year, please call your local wildlife rehabilitator or facility. 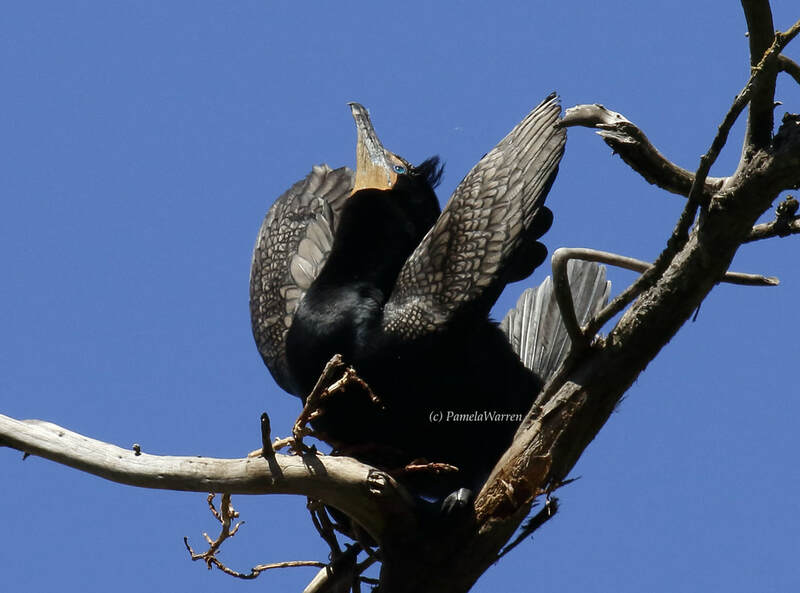 Often these birds ingest fermented berries and as you can appreciate, “drinking and flying” don’t mix well. Working in wildlife rehab, I have encountered “drunk” Cedar Waxwings who just needed some time to ‘sober up’ and safely fly again. As always, thank you for caring for your local wildlife …. and enjoy the beauty of the winter season and all of its surprises! As I mentioned in part 1 of this blog series, I’m a big fan of the gift of time together. So whether you take one of these ideas or simply use them to inspire your own, the important thing is to just go have fun together! And don’t forget, it’s always lovely to give the gift of a donation to one of the causes that your Valentine supports. The non-profit can always use your support, and it’s a wonderful feeling. Here are my TOP 10 ideas of the perfect day spent with your nature-, bird-, or animal-loving Valentine. There’s likely so much to explore together in your local area. Idea #8: Visit a museum celebrating some aspect of nature, or rent a movie (Netflix, Redbox, or elsewhere) to explore a nature topic of interest together. Are there migrating birds, whales, seals, or other animals in your area this time of year? You will see different birds in your area, depending upon the season. Some are there only a short time, others year-round. Are any of the animals changing in some way this time of year? Birds become incredibly colorful during the breeding season and less so in the winter months, sing different songs, and demonstrate entirely different behavior different times of the year. What can you observe about the birds in your area right now? Deer and elk of course shed and regrow their antlers each year, giving us the opportunity to witness periods of change in the antlers themselves. Seals migrate, molt, mate, and pup at different times of the year. Different whales migrate and have different behaviors depending upon the time of year and location. Now, some of you are bound to be thinking, “I want to go bigger”. Good for you! You’re definitely into planning and if you’re going to plan it by this Valentine’s Day, I would suggest you need to start working on it ASAP. Otherwise, certainly a “promise note” of surprise this Valentine’s Day for a future trip is just as exciting – and allows the two of you to plan it together. See part 3 of my Valentine’s blog for some "big" ideas based on my own personal experiences. Meanwhile, if you’re sticking closer to home, enjoy planning your day! Relax and unwind in nature together. And enjoy the inspiration from my own nature experiences featured in my Valentine’s cards, products, and photographs for this and many other occasions. ​I’ve created some special products this year just for Valentine’s Day, but I’ll come back to that in a second. For every special occasion, I’m a big fan of giving the gift of time. Valentine’s Day is no exception. We get so busy in our lives that it’s easy just to go to dinner somewhere and call it a night. What takes more time is to plan something unique for your loved one – something that is specific to their interests and involves quality time together. I’ve put together a Gifts list of just such “experience” ideas. You can be a thoughtful partner this Valentine’s Day and every day - planning out special days or outings for the nature/animal/bird lover in your life. I’ll cover an example list of such activities in part 2 of this Valentine’s Day blog. So back to the new products this Valentine’s Day…. I’ve created part 1 of this blog with a Valentine Gifts list of ideas for your nature, bird, or animal-loving Valentine. If you fancy a physical gift reflective of their interests, there are a variety of subjects across landscapes, animals, and birds. So while I have a pillow that features a zebra, you can also create a pillow of a garden, a particular bird, or many other animals. Idea #3 – For the ladies, a beautiful scarf to enwrap her in a picture from nature. Idea #10 – The “coziest” gift of all: a nice warm blanket for snuggling up together – this Valentine’s day and many more to come! Happy shopping and Happy Valentine's Day! ​Continuing on the theme of exploring winter’s migrating avian visitors, this Christmas week we drove up to the Cosumnes River Preserve and environs near Sacramento to see the Sandhill Cranes. If you’re in the Sacramento area, or can get there, this is a helpful guide to great places to see them. We had most luck right across from the visitor center at dawn. But believe it or not, you can observe hundreds of thousands of them in the central parts of the U.S. The Audubon Society calls their spring gathering along Nebraska’s Platte River, “among the greatest wildlife spectacles on the continent”. At one time, you can see “over a quarter of a million birds”. Similar to the mating "dance", all of a sudden this group began jumping and spreading their wings. By 1940, they had been over-hunted to the point of fewer than 5 pairs! :-( They have made some rebound, thankfully, due to conversation efforts but as always, more can and is being done to help this species recover. Their range begins as far away as Siberia and Alaska down to California's Central Valley, where we saw them this week. So you may understand my fascination and desire to see them while they’re here visiting this winter. I had been missing the Cinnamon Teals the whole time! ​At the same time, I’ve always loved the Cinnamon Teal. There’s something about their hues of deep crimson that make them another object of my affection. It was this very duck that opened my eyes many years ago to the realization that there are in fact many more duck species than the Mallard. One day walking my dogs in Virginia, I noticed this “odd-looking” duck in my backyard waterway. Why was this Mallard a deep crimson color? And so it began my education about Teals (Cinnamon, Blue-winged, Green-winged), Northern Pintails, Northern Shovelers, Ruddies, Wood, and oh so many more beautiful ducks to discover. So imagine my excitement this week to realize that, while closely studying and enjoying the fascinating Cranes, that all the while the Cinnamons were right in front of me! 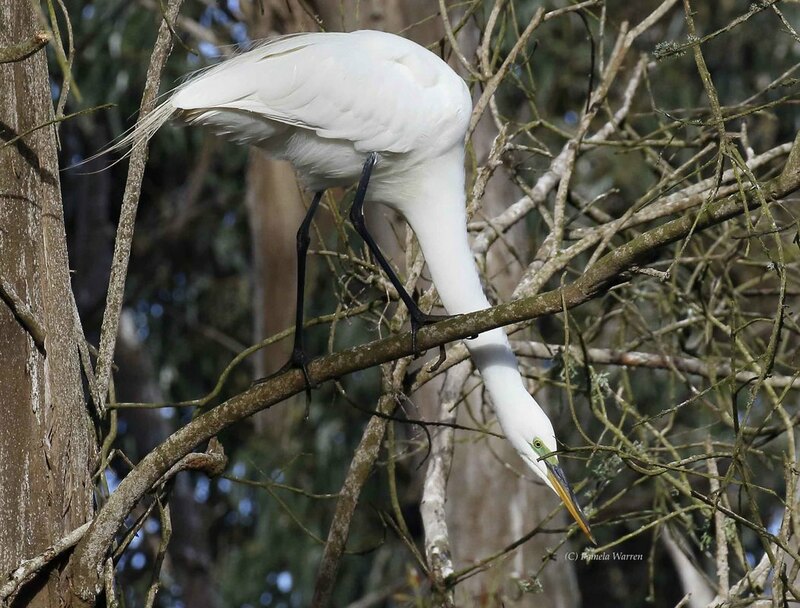 Sure enough, maneuvering around the Cranes’ feet were none other than …. Cinnamon Teals. I have searched far and wide during previous winters to find the Cinnamons only to be disappointed to see a mere one or two here and there. Right here, right now, were an entire flock foraging in the shallows of the flooded farm fields! ​Study nature, love nature, stay close to nature. It will never fail you. ​This time of year is so exciting to me. Many winter migrants have arrived and I’m always eager to set out early mornings to see who has arrived overnight or over the last week. Do you know which birds come through your own area this time of year? If you’re in the Northern Hemisphere, you will see birds who have flown south to warmer climates. They are either stopping through or staying through the winter. The benefit of stepping out or looking out of your window for these birds is multi-fold. Realizing there is a whole ecosystem of life outside our own helps draw us into the present moment – dissolving our troubling or stressful thoughts. ​The birds that you see have risked their lives, skipped many meals, flown many hundreds, sometimes thousands of miles, to arrive. Spending your morning with a loved one, exploring – either through the window or at a local park – is a nice way to enjoy your day. My mother regularly peaks out her window and shows her great-grandchildren the many birds that come through. 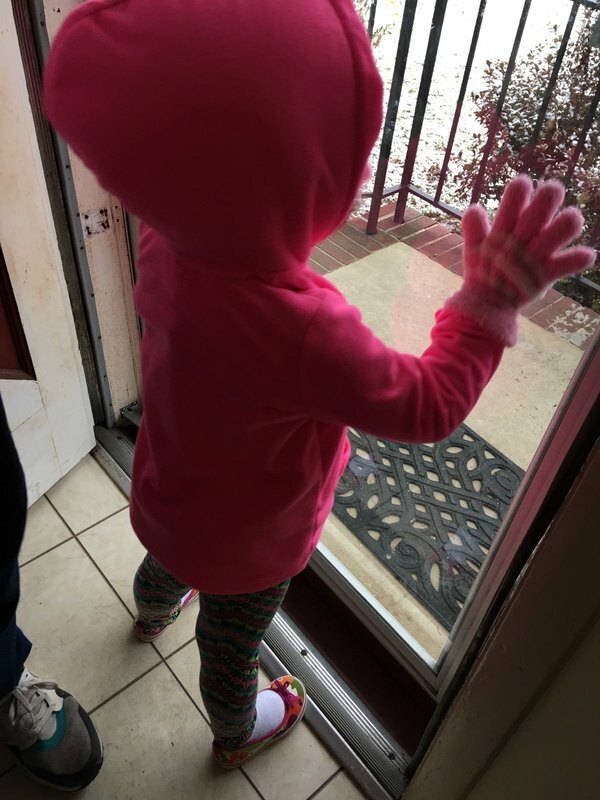 She’s thrilled that her great-granddaughter, Alaina, proudly ensures other people know about the birds she encounters now, too. What a blessing to give such a gift to a young child who can enjoy the wonders of nature. New this winter: An Orange-crowned Warbler! In my own backyard this winter, I’ve discovered at least 2 new species I’ve not seen here before. We’ve lived in the same house over 10 years, so seeing new birds this winter was amazing! It’s likely due to a slight change in habitat these new species seek. Our garden has more growth from new low shrubs and purple sage this year and a clearing from trees that we had to cut down due to disease. We’ve seen Golden-crowned Sparrows and Orange-crowned Warblers, the latter of which I never even knew existed. 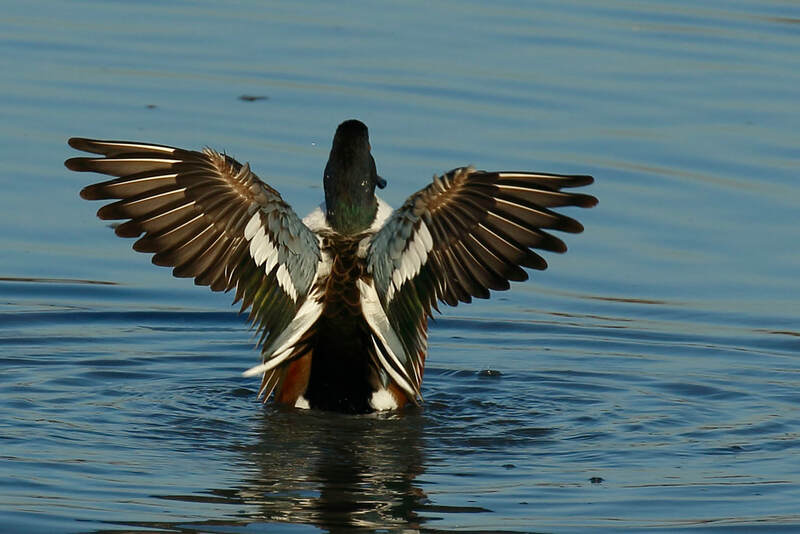 A new aspect of the Northern Shoveler to discover: its full wing colors and beauty. 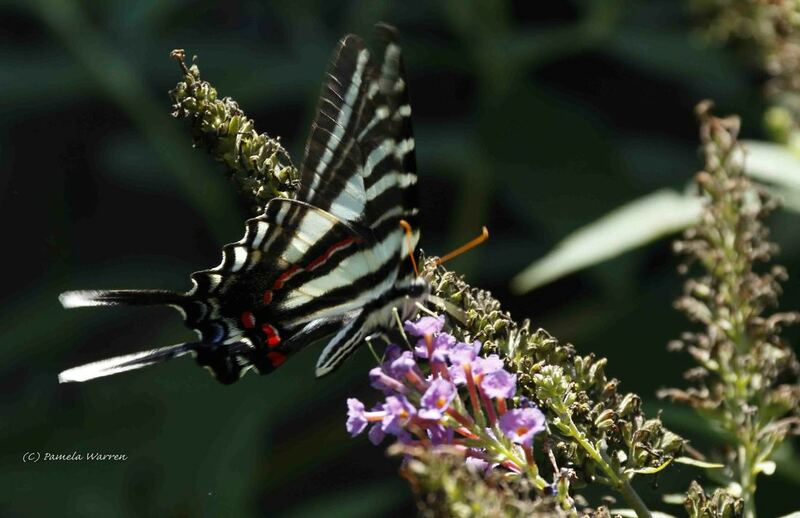 ​I was blessed this week to go from seeing the beautiful butterflies in my own backyard to those on the East Coast. 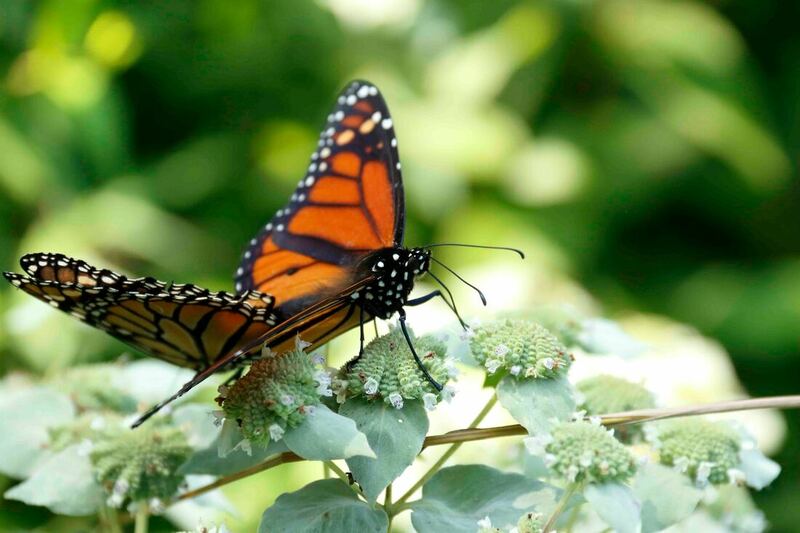 Aside from the butterflies in the backyard of the home where I was staying, New Quarter Park in Williamsburg, Virginia has planted a very large butterfly field – including over 130 milkweed plants upon which Monarchs rely. It was here that I found myself surrounded by butterflies and dragonflies. Yes, there can be over 30 varieties of us in just one town! If you think you see many of us, just wait until the day gets warmer! 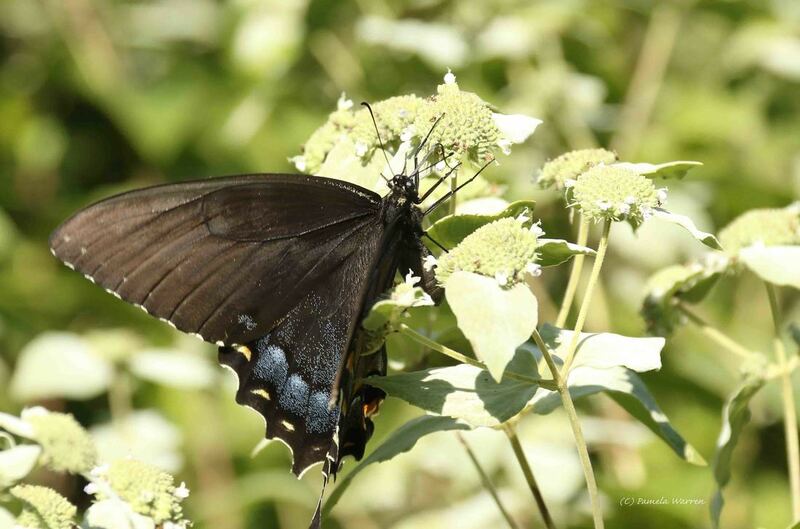 ​If it’s still spring or summer where you are, you might consider wandering out to see how many butterfly varieties you can find. What do you see? How many patterns can you find on their wings? Don’t forget about the patterns on their bodies. Are their antennae different colors from their bodies and wings? What colors are their eyes? What else might you learn from and about them? If it’s fall or winter where you are, don’t despair! You might use this time to start planning how you could attract these gorgeous and welcome distractions to your surrounds in the spring. Happy butterfly dreams …. Unappreciated Moments or Intentional Magic? ​When do you get the answers that you need in your life’s journey? Is it when you sleep? In messages through others? Through your intuition? I’ve learned that I receive it through all of the above - and through nature. Lately I have been exploring whether to pursue macro photography. 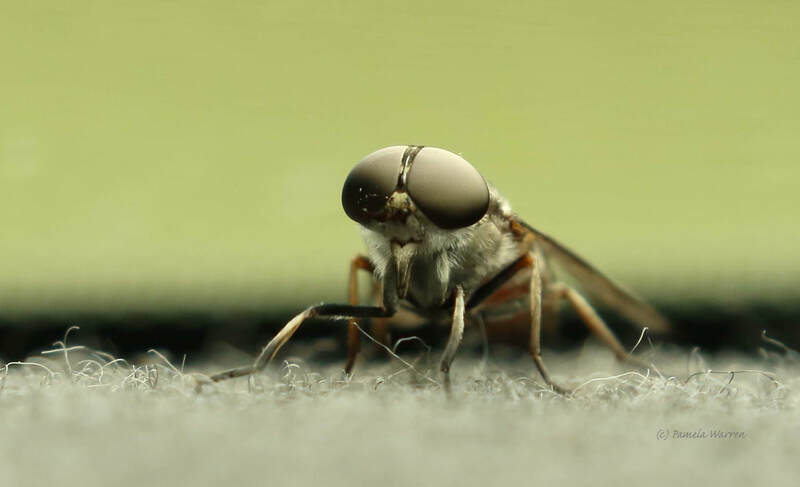 I had recently rented 2 macro lenses to test and had been so disappointed. I learned that being 100% reliant on a tripod and being right on top of my subject matter was not for me. I didn’t want to scare the animals and insects of my fascination, and my camera gear is already heavy and cumbersome when I travel without necessitating a tripod, too. This week, while visiting family on the East Coast, I had rented one final lens before I was going to decide whether to give up my quest. Arriving on the East Coast, I was exhausted. With a three hour drive to my destination ahead, and only an hour or so of sleep on my overnight redeye flight, it’s 6 am, and I’m asking myself: “What was I thinking taking a redeye?” With just 1 hour left in the drive, we stopped for an hour to wait for my nephew. At wit’s end, irritable, and just ready to be done with this drive is precisely when the magic happened…. I began to notice an odd phenomenon each time we stopped on the drive: a single dragonfly would appear, and would fly back and forth across the car, front to back, front to back. Now stopped on the side of the road awaiting my nephew, 2 things happened: first, an insect resembling a bee flew into the back window where I sat and just looked at me. Hmmm…. Is he staring at me out of fear? He doesn't seem to be in any hurry to move away from me. So I gingerly grabbed my camera and took several shots. Then I ever so gently ushered him back out into nature where he belonged. 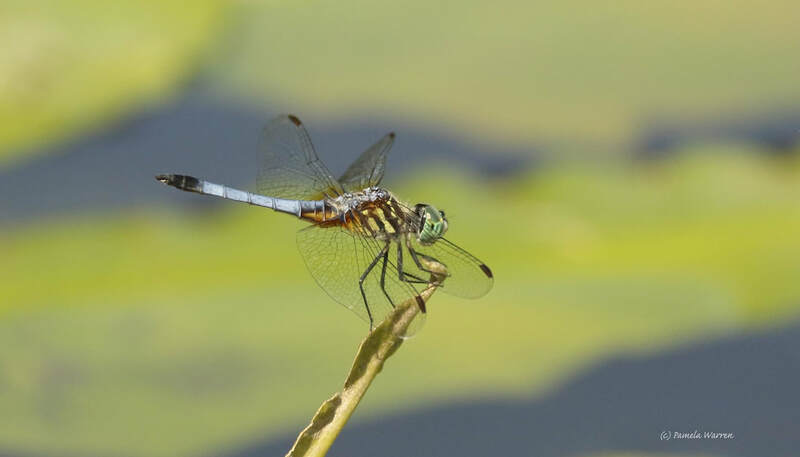 ​Then, not one but two dragonflies landed on branches just beside me at the car’s edge. And they just stared at me. Yes – they looked right at me. Feeling confident that any moment they would fly off, I just sat and enjoyed their beauty in this special moment. But they didn’t leave. So again, I pulled out my camera, gingerly stepped out of the car, and began taking pictures. Still, they just sat. After I had snapped what seemed to be 100's of pictures, they flew up – and returned and sat back down in a new position. And again I took numerous shots of their new angles. And so it went on like this – the entire hour we waited for my nephew. Now, you might be thinking, “It’s just coincidence that they landed to charge in the sun at the very moment you pulled up in the car”. Except that they weren’t sitting in the sun. In many cases, I don’t even bother shooting in the sun for the myriad problems it poses in photography. Nope – this was just pure magic. I began to realize that they were perhaps here for another reason: to prove a point to me. The Orchard Oriole has been frequently visiting the hummingbird feeder, confusing all of the hummingbirds swirling in and around it for landing. The beautiful orange female Allen’s Hummingbirds have arrived during their annual migration south, taking over the backyard and continue to try to keep all of their fellow hummingbirds away. Stepping out at 9 pm to water some backyard plants, I was delighted for over 10 minutes with a visit from a hummingbird hawk moth who was eagerly sipping nectar from our blue plumbago. A confused little recently-fledged Chickadee has been following the hummingbirds around the yard, in what seemed to be her attempt to figure out her place in the world. Meanwhile, one of the Allen’s hummingbirds decided to treat the little Chickadee as one of their own and began harassing it around the yard. Remember to take the time to get out and experience what’s happening in your own proverbial backyard. And, if all else fails, close your eyes, breathe deeply, and enjoy a moment of peace to prepare for the coming week …..